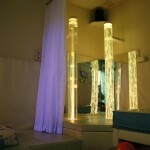 We are raising funds to improve our sensory room and other much needed items for school. We would like pupils and staff to wear their jeans on Friday 20th September to help Jeans for Genes – £1 donation to help reach its’ target of £2.5 million. We’d like everyone to take part so please send your child into school on the day wearing their jeans and with £1 donation.